Orchestra Victoria is Australia’s leading opera and ballet orchestra. Based in Melbourne, Orchestra Victoria works in partnership with Australia’s premier arts companies delivering outstanding performances with The Australian Ballet, Opera Australia and Victorian Opera. A live orchestra makes all the difference, creating energy and uplifting audiences through music. Orchestra Victoria’s Education Workshops allow aspiring musicians to experience the thrill of performing alongside the professional musicians of Orchestra Victoria. Each workshop is an intensive two-day program of rehearsals for instrumental music students. Conducted by a leading music education specialist, the workshops offer a unique and valuable learning opportunity for students. Around 12 of Orchestra Victoria’s top musicians play alongside students and lead smaller instrumental section tutorials. Students extend their ensemble playing and instrumental techniques in full orchestral rehearsals under the baton of a professional conductor. Since 1982, JMC Academy has been dedicated to providing the best in education and resources for its students. Originally founded as an Audio Engineering training facility, JMC Academy is now Australia's largest music and entertainment technology training provider, offering a range of courses in the entertainment industry and enabling students to become familiar with all aspects of this industry at a tertiary level before entering the workforce. The Academy headed into the new century with accredited programs in Digital Media and 3D Animation, Digital Television Production, Audio Engineering, Music Business Management and Music Performance. The Australian Guild of Music Education is comprehensive Music and Speech Education offered throughout Australia and overseas. The AGMED offers a flexible learning system, as the course is essentially a distance education course. DVD's of these sessions are available for students too far away to attend the 3 days. At the Guild, you'll also have access to some of the latest equipment and facilities. A guild qualification will open up career pathway in all facets of the music industry. Based in Brisbane, Jazz Music Institute (JMI) is Queensland’s specialist jazz school and has been delivering courses in jazz since 1997. JMI enjoys a reputation throughout Australia as one of the best jazz institutes in the country, producing graduates with the musical and business skills needed to thrive in the live jazz performance industry. The company’s founder Greg Quigley has been involved in jazz education for over 35 years and has worked in many facets of the music industry from retail through to school education, promoting and performing. All courses offered at JMI, from Certificate to Bachelor, are fully government accredited and are taught by experienced lecturers who have performed around the world with some of the biggest contemporary names in jazz. JMI operates from a purpose-built facility in Brisbane’s Bowen Hills, boasting professional rehearsal and recording rooms, the very latest training software and state of the art technical equipment. The school also has its very own 80 seat theatrette, The Turnaround Jazz Club. Previously known as Jazzworx! 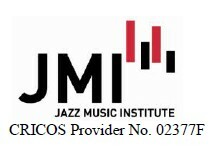 Pty Ltd, the company is now Jazz Music Institute Pty Ltd trading as Jazz music Institute (JMI.) JMI is a Higher Education Provider and a Registered Training Organisation. 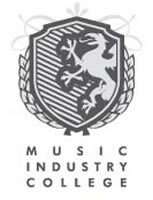 AIM is the leading school for today’s music industry. AIM, a contemporary-performance focused private institute, also provides classical performance, arts management, audio technology, music theatre and composition under-graduate and post-graduate programs. AIM takes pride in being one of the leading performing arts schools in the nation. With programs available from Senior Secondary through to Masters levels, we believe that the quality of musical education you receive at AIM is of exceptional standard. I invite you to seriously consider AIM as you plan for your studies in Music Performance (Contemporary, Classical and Music Theatre), Music Production (Arts Management, Composition and Audio) or Theatre Performance (AADA). To develop and nurture excellence in music through our high standard of tuition. Whether it's your first time to learn music, or you've got a good level of understanding and wish to take your skill to the next level. KATZMUSIC: located in the Melbourne bayside suburb of Elsternwick, offers vocal and instrumental classes, music theory and songwriting courses, vocal and performance workshops. Our friendly, professional teachers share a common passion for their instrument and radiate pride, enthusiasm and a sense of privilege when teaching. All of our teachers have many years of qualified training and professional industry experience. We offer a range of instrumental and vocal tuition including piano, guitar, drums, violin and bass guitar. Katzmusic understands the importance of developing confidence in a comfortable, relaxed environment and we endeavour to create a truly inspiring learning space. The University of Queensland School of Music provides students with opportunity and choice through programs that prepare future leaders in the music professions. The University of Queensland enjoys a long tradition of success and is a great destination for music students. A vibrant student life, stunning campus, exceptional study opportunities and inspirational staff and students provide a memorable experience for any student. The University has a focus on engagement, while its groundbreaking research and culture of excellence put it in the ranks of the world’s best universities. UQ Music offers courses for undergraduates in music performance, music composition, musicology (classical, world and popular) and music education. Postgraduate coursework programs in music therapy and music education provide specialist skills for music professionals. Master of Philosophy and PhD programs are offered for those wishing to develop their research skills. Why become a Suzuki teacher? 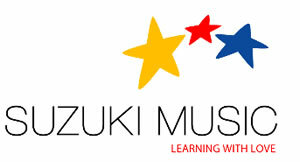 Being a Suzuki teacher is an extremely rewarding profession where you will work with truly committed parents who enjoy learning music with their children. a multitude of activities for you and your students including concerts, ensembles,masterclasses, holiday schools and Suzuki Graduation. Daily, you mix face-to-face with the country’s finest teaching faculty alongside acclaimed artists from around the world. It is extremely challenging and demanding of your total commitment while at the same incredibly exciting, enriching and rewarding. Informing and expecting of you an intense engagement with a breadth of knowledge and experiences that will expand your horizons, ANAM is the perfect place to refine your musical skills, preparing for a lifelong and vital career in music. 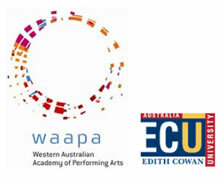 WAAPA is recognised nationally and internationally for the quality of its graduates. WAAPA provides the most comprehensive range of performing arts training in Australia and students can choose from a range of internationally recognised courses. 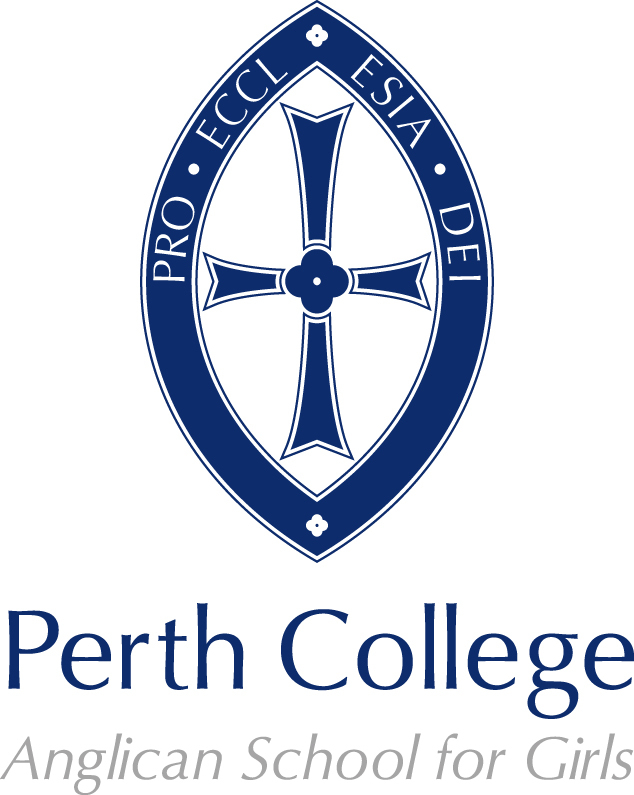 World-class staff working in state-of-the-art performance and teaching facilities provide rigorous and specialised training of the highest order. These courses offer students the opportunity to realise their artistic ambitions. Entry into the courses is competitive and prospective students undertake an audition and / or interview as part of the application process. 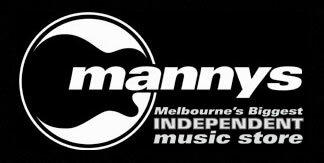 Mannys Music School aims to give students the opportunity to further their understanding and enjoyment of music. Our teachers are all working musicians in the Melbourne music scene and bring a widely diverse perspective to their lessons. Mannys Music School accommodates beginners to advanced students, or anyone who would like to polish up on their skills or try a new method to incorporate into their style. Our Music School runs on a term-by-term basis. "Our aim is that every student comes away from each singing class or workshop with knowledge, fulfilment, affirmation and the joy of self expression"
Founded and directed by Karen Knowles, one of Australia’s most respected singers and performers, the School began operations in September 2004 and now has classes offered at four locations across Melbourne (Hawthorn, Surrey Hills, Caulfield and Preston). All styles of music are covered at the School including pop, rock, jazz, music theatre, acappella; Brazilian,Portuguese, African, Indigenous Australian and African music. Songwriting is also incorporated into our holiday workshop program (run in the March and September school holidays) and many of our term classes. There has been a very positive response to this from students. We are very glad to provide a platform to foster students self expression. The School’s aim is to ensure that every student comes away from each singing class or workshop with knowledge, fulfilment, affirmation and the joy of self expression. Excel Music was established in 2004 by Amanda Iliov and Kim Wong. They bring a wealth of experience to the organisation and have an innate passion for providing children with the gift of music. The program has been specially designed to accommodate and support all levels of learning with key emphasis placed on progression, note-reading skills and co-ordination.This is facilitated through enjoyable, exciting and supportive lesson structures. The Josh Cohen School of Music was established by Josh Cohen (B.Mus) to fulfil the need for contemporary piano tuition in Melbourne. Having taught privately for many years, Josh has inspired children and adults from widespread musical backgrounds. At Metro Music Academy, it is our belief that learning to read music is an important and valuable skill for a musician to learn. Learning to read music is in fact much easier to learn than most people believe is possible and is a significant step toward eventually being able to play, sing or even write any song you want. Additionally, learning to read music gives a musician or student access to many thousands of tunes gathered over the years. Whether it is classical, folk, jazz, hip-hop, reggae, techno or rock, music is recognised and written in the same way throughout the world. 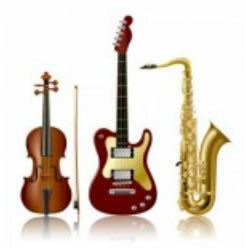 Instrument and equipment hire and purchase at discount prices. The Conservatorium High School is the secondary arm of the Conservatorium of Music in Sydney, NSW and the State's only specialist music high school. Established at the behest of Henri Verbrugghen, foundation director of the NSW State Conservatorium of Music, the school enrolled its first students in 1918. The inaugural principal, Mr Alfred Steel, was seconded from Sydney Boys' High; he taught in both the secondary and tertiary programmes of the Conservatorium. Located in the Royal Botanic Gardens overlooking Farm Cove, the Conservatorium of Music is one of Sydney's best-known heritage sites. The heart of 'The Con' is the turreted sandstone structure that was designed by the convict architect, Francis Greenway, to serve as vice-regal stables for Government House which is located across the gardens to the north. Extensive redevelopment in the late 1990s transformed The Con into a superb teaching, research and music performance complex with expanded accommodation for up to 180 Conservatorium High students.